Yesterday afternoon I set my to-do list aside for awhile and opted instead to set myself outside for awhile! It was a beautiful autumn afternoon, and while most of my backyard leaves have already succumbed to their crunchy carpet fate, the resistant remainder provided a lovely photo backdrop. …while others showed up to dip and drip! 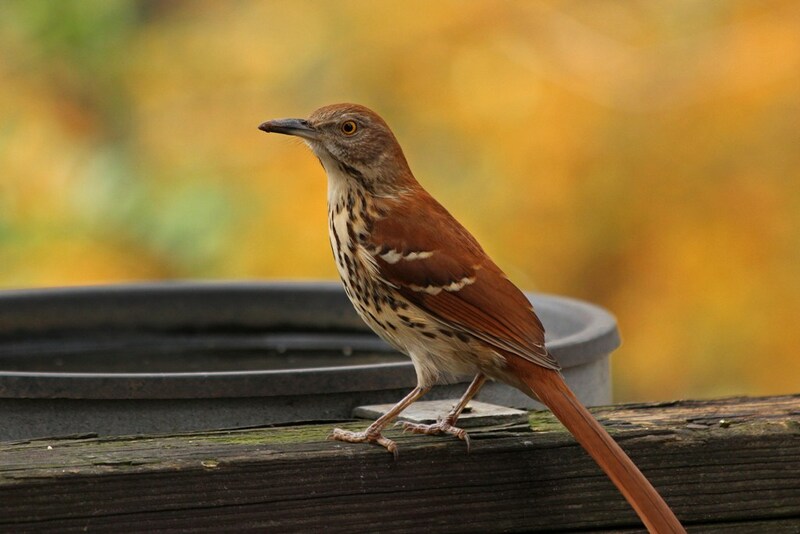 Our state bird, the Brown Thrasher, also blessed me with a visit. 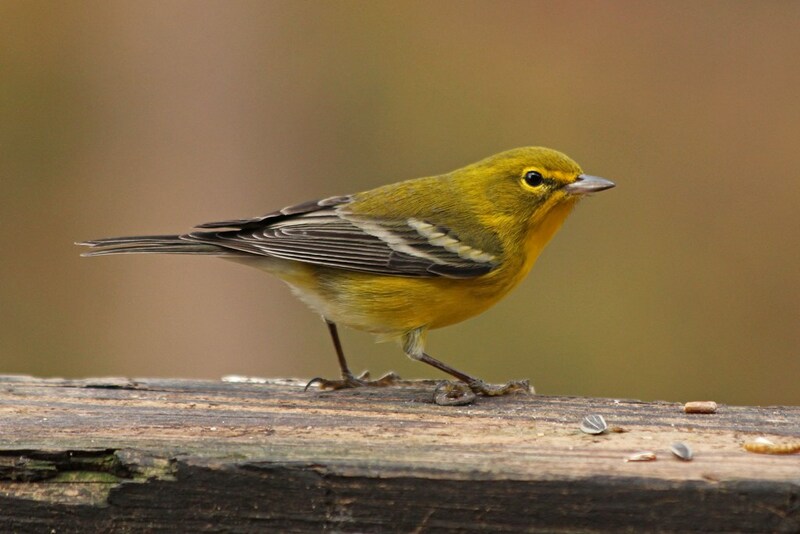 …while a beautiful Pine Warbler and a Brown-headed Nuthatch filled up on some food. 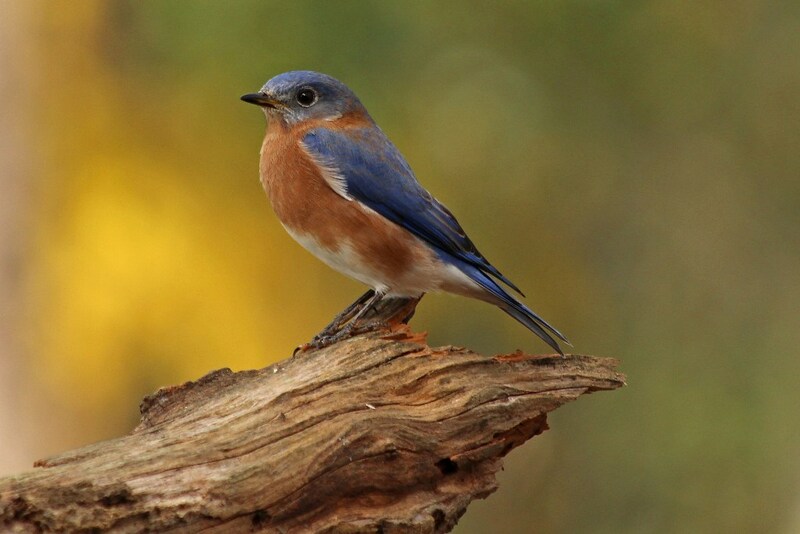 Meanwhile, a male Bluebird claimed my new branch as his personal perch. The dusty rose of the dogwood and the amber tones of the oak made for a delightful autumn blur. 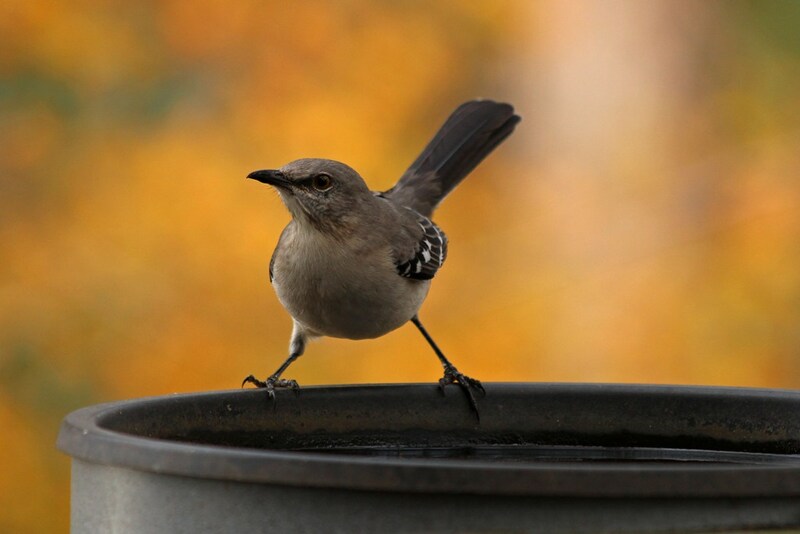 This entry was posted in Backyard Birds and tagged backyard birds, bird watching, birds, Bluebird, chickadee, hobbies, nature, nuthatch, photography, thrasher, warbler, writing. Bookmark the permalink. delightful autumn blur and beautiful birds indeed! Such delightful companions! In their Autumn finery. 😍 Fantastic pix, Kathy. Beautiful photos. 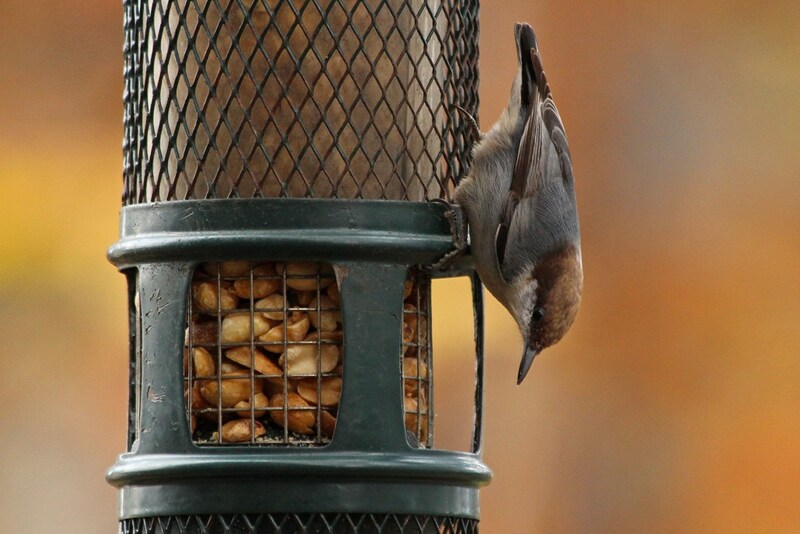 I’d never heard of a brown-headed nuthatch. The last photo of the bluebird is amazing. He looks so regal! Regal indeed – I do believe he sees that branch as his throne! 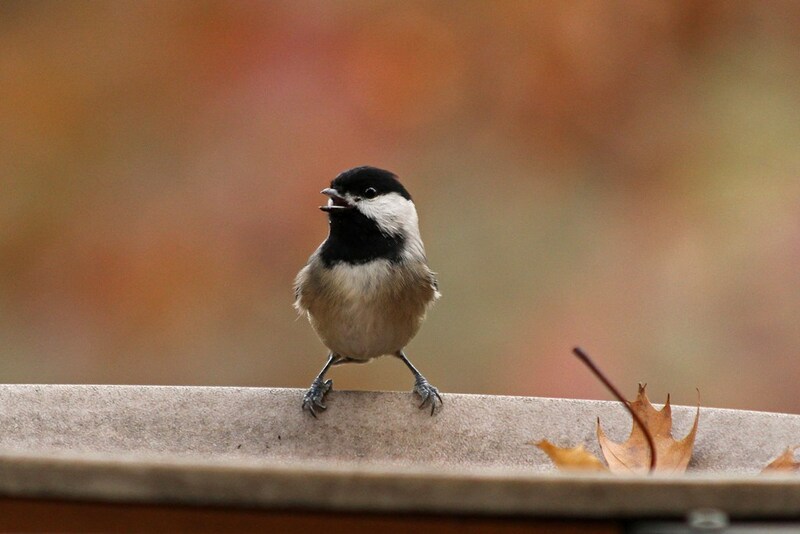 I have missed your bird photos, Kathy! 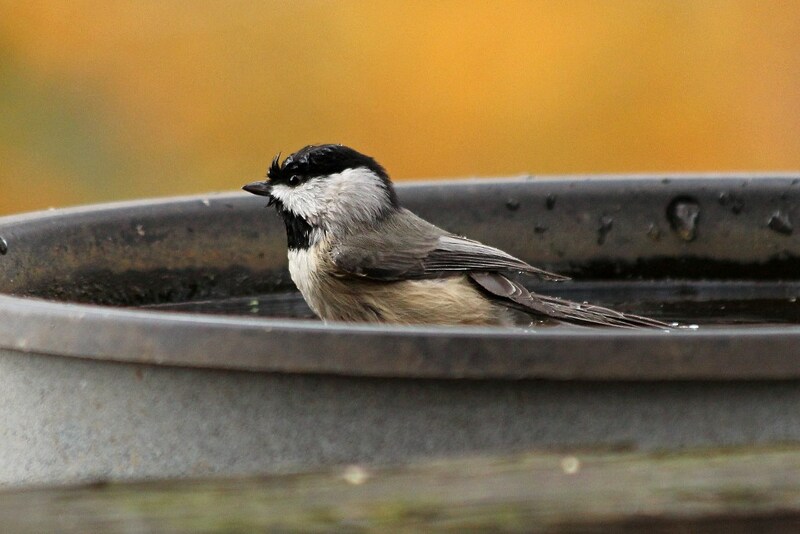 😊 Love the birds taking a dip and drip! 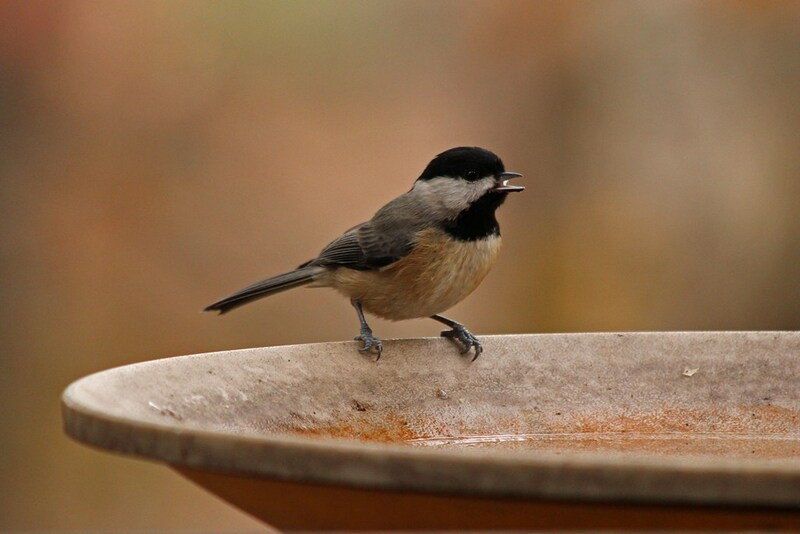 Birds and water are always a good combo! Great photos! 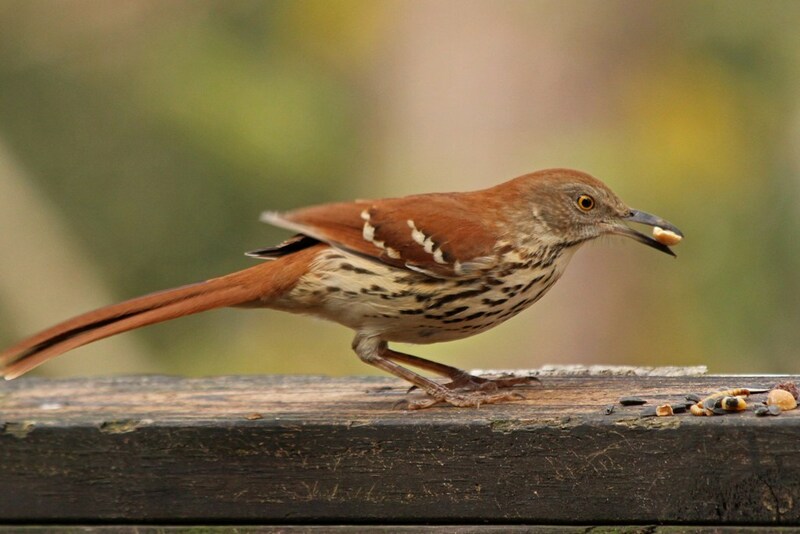 We get a lot of enjoyment watching the birds in our garden too. A child at school brought me an ID book of American birds( we are in Switzerland) so I went through every page for her to see which were the same on this side of the Atlantic. 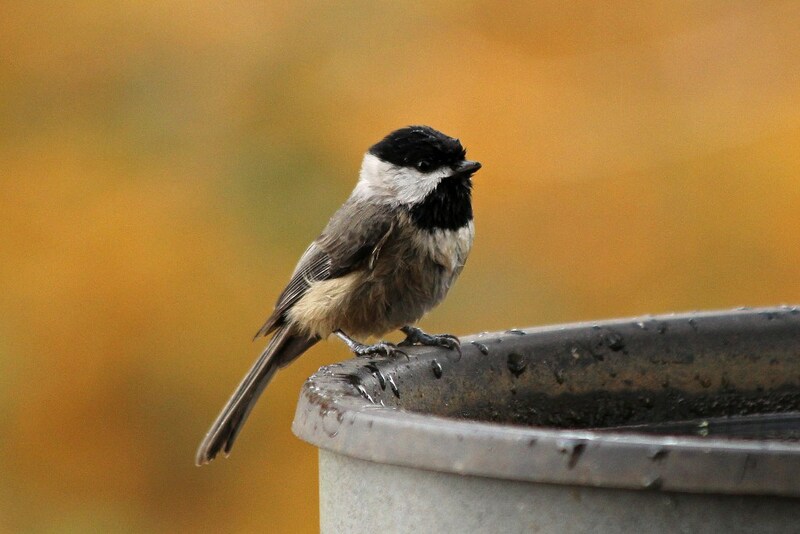 I was surprised to see how few we have in common, but how very similar some species are, especially the chickadee/ bluetits etc. So much to learn. 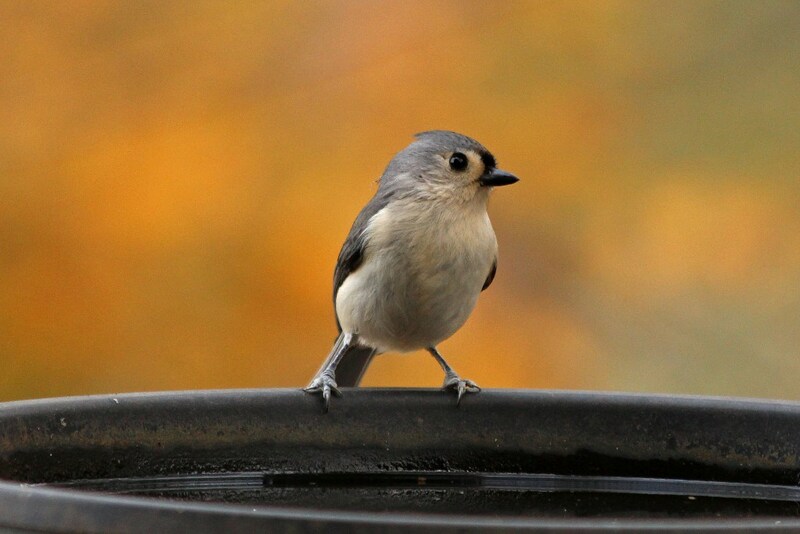 Kathy, this may be one of your best bluebird images yet. Bless you and your wonderful camera! I’ll email you a quick sketch in a few.